I was at the #TiEInflect2018 conference this week in Santa Clara but this blog has nothing to do with the conference so don’t hit the snooze button (yet). It’s about my attendee badge. If your #boring meter is gesturing wildly, I beseech you to give me a few more minutes and I guarantee to not disappoint. When I got the badge, underneath my name it said “Tech Interpreter + Human Catalyst”. I was appalled since that is not who I am. Who was impersonating me? I call myself the “Purpose Accelerator + Tech Interpreter”. I wanted to unmask this miscreant who had stolen my identity! And then it hit me – that was actually me from a week ago when I registered for this conference. That’s how I fancied myself then. And now I do not! How could that happen in a week! The answer – my crazy experimentation, analysis, and bias for action. A little context would help. My professional life read much like any other Indian tech immigrant story. Engineer – Engineering Manager – grew antsy – moved into Product Management – rose (sounds fancier than it is) to become a VP and SVP in a few startups. And in those 20 odd years, my title was whatever was anointed by that organization upon me. And while I fancied I was innovating and experimenting like crazy – in contrast to what I am doing now – I was asleep at the wheel. The title straitjacketed me into a highly insular thinking and made me a slave to the definition of that job. And that stayed the same whether it was a large company or small, whether I was an engineer or an SVP. Fast forward to today. My title did not have “Purpose accelerator” a week ago, it does now and two events triggered that. One was a lunch conversation with the amazing Jeanny Chai – introduced by the amazing Nicole Jansen (see a trend here, I have gotten to know a lot of amazing people lately) – who lifted the blinds off my eyes and made me acknowledge that my volunteer effort with the #iPoP (In Pursuit of Purpose) group was changing lives and what if I actually paid attention to those obvious signals that I had been studiously avoiding and take that life calling seriously. Second, was the reach out from several ex-colleagues who I had not spoken in a decade who were keen on understanding my crazy writing and speaking vengeance and the how and why of my life transformation but more interestingly (to me) was observing the common underlying itch on the how and why in their lives and their urge to make some dramatic changes in their lives and the nervousness that they were fast running out of excuses to maintain status quo and the life timer’s ticking had gotten just a little bit louder. That’s it. Soliciting feedback, taking cues seriously and reprioritizing my focus was the reason for my focus shift. And all that in a week’s work. So why I am even talking about this today? Because we in the tech world have found all kinds of amazingly agile and nimble ways to make software adapt, deliver faster and retire even faster if it does not pass muster. But we haven’t once thought of applying that to ourselves and our self-development. But this is personal. I never thought of applying this to myself and wasted precious years of my life following the well-trodden path. And that changed last year and I am eternally grateful to folks like Dorie Clark who was instrumental in instigating that change. But it wasn’t until the (incorrectly) presumed badge mix-up did I realize how much my rpm meter had ratcheted up compared to just last year that allowed me to identify, adapt and test theories continuously. And there is no going back from that – it’s fulfilling, invigorating and motivating. What about you? 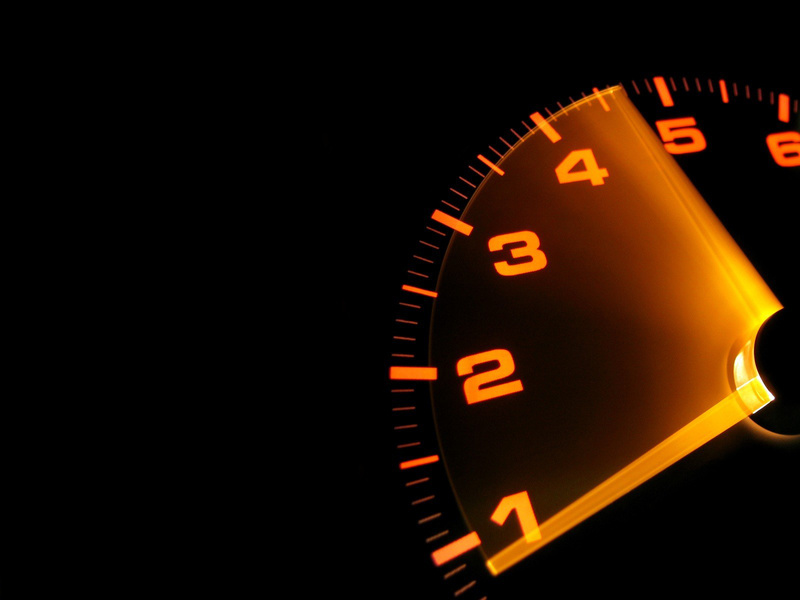 Where is your tachometer headed?